Arenal Hostel Resort is a true pioneer of Eco-Tourism in this area. We offer a great place to stay where you will feel at home and meet new people as you embark on the adventure of a lifetime. 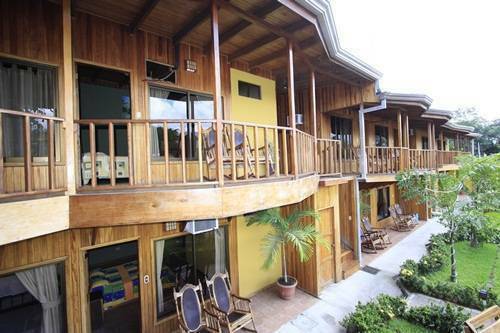 Arenal Hostel Resort is a place created for you by one of the premier pioneers of tourism development in the area. Hammocks, swimming pool, swim up bar, common kitchen, restaurant, wi fi, parking lot, tropical gardens. Private bath with hot water, cable tv, air conditioning, telephone, balcony with volcano and garden view. La Fortuna, Costa Rica Arenal Volcano National Park Area.